I’VE never been the sort of fellow who slathers himself in Cologne at a moment’s notice. Personally, I can’t stand being lasciviously wrapped in another chap’s aroma after he’s dunked himself repeatedly in the stuff – and the same applies to my good self. 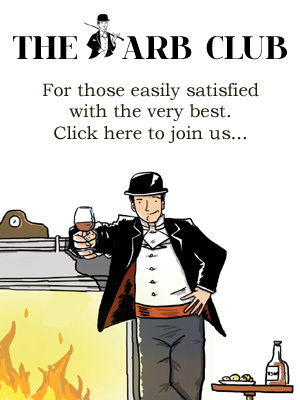 I find it overpowers and removes my sense of self in some way – and as far as I’m aware, I smell reasonable enough on the face of it (barring being kippered at No.1a St James’s Street, the home of cigar giants Dunhill, for example). But just over the road from Dunhill’s delightfully clubby and longstanding home -marshalled as it is by the urbane Robert Emery and the unassuming and affable Tom Randall – stands another bastion of civilization. From this legendary home of gentlemen’s grooming, a parcel winged its way to me last week. Intrigued, I thrust aside the toast and marmalade and opened it at once. Ensconced inside was an always-welcome pot of West Indian Limes shaving cream (fantastic stuff and a favourite of the House of Windsor, so I’m told) and a slope-shouldered bottle of something intriguing. The subtle bottle from Truefitt & Hill first nabbed my immediate attention because of its simple, poignant name. Apsley was, of course, the first Duke of Wellington; but the name stopped me in my tracks because of my slight fixation with Apsley Cherry-Garrard, one of the survivors of Scott’s ill-fated polar expedition. His Worst Journey in the World is an astounding book, still resonant and definitely redolent, today. But despite my interest therefore being piqued, I nearly added the bottle to a small collection which is occasionally donated to worthy friends; as I’ve said, cologne and I don’t get along. But then I popped the top and sprayed an experimental mist in my general direction. And my wife returned to the table with a pot of tea. I can offer you no further validation than to relate her eyes widened, and, I tell you, sparkled at the merest whiff of the stuff. “Ooh,” she breathed, somewhat huskily I thought for that hour in the morning. “That’s really nice. What is it?” She batted her eyelids. This was a first. Normally in the home as the only male, I am derided and ridiculed at every opportunity. I pushed back my chair and decided on further experimentation. I wafted quietly through the lounge where my two daughters were playing. And they too, à la the Bisto Kids, stopped, sniffed and expressed sensorial delight. Extraordinary. One even asked if she could wear it. Apparently this potent stuff has been “formulated to ignite the senses with a refined blend of smouldering woods accentuated by light citrus notes.” Ordinarily I’d dismiss this sort of guff as marketing twaddle, but you’ll have to trust me when I say, for once, they’ve got it spot on. This is the real Tabasco. I am delighted, in my fourth decade, to have finally found a cologne that agrees with me. And perhaps more importantly, it agrees with others too. Coos of delight follow in my wake these days. If you detect a manly, yet delicate aroma assailing your nostrils in the near future – albeit one perhaps tinged with the faint odour of fine cigar – then watch out, watch out. Apsley by Truefitt & Hill will be available at Truefitt & Hill stores worldwide as well as www.truefittandhill.co.uk and at selected fine retailers worldwide from the beginning of August 2016. RRP £68 (100ml). Of course, it will also be available at the legendary St James’s Street store at 71 St James’s Street, London, SW1A 1PH, Tel 0207 493 8496.